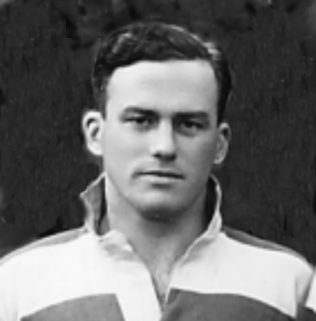 Bill Phillips was an Oxford blue who played centre and occasional wing for Gloucester from 1935 to 1939 and for Gloucestershire throughout their 1936-37 Championship-winning season. Before joining Gloucester he played for Blackheath and Kent. He must have always had a fair turn of speed as The Times reports him as winning the 100 yards in the Eltham College sports in April 1930. He played for Kent Public Schoolboys, captaining the side on at least one occasion. He went up to Oxford in October 1930 but although playing for the Colours in the Freshmans Trial he failed to break into the side. He played only occasionally for the University for the next two seasons. However he joined the Blackheath club and throughout his first three years at the University, he played regularly for Blackheath and for Kent. In 1932-33 he played in the Kent side which reached the semi-final of the CountyChampionship. In October 1933, now at Wycliffe Hall theological college, Bill captained the Colours to a 23-8 victory over the Whites in the final Oxford trial, playing at centre. He was a regular selection at centre throughout October but then received a call, asking him if he was prepared to try out at wing forward. He played there in a college game and then regularly for the University for the rest of that term, playing at wing forward against Gloucester at Kingsholm. He was a controversial selection for the University match, winning his blue at last at wing forward and finishing on the winning side. Bill became chaplain of Dean Close School, Cheltenham in October 1935 and joined Gloucester RFC. He played regularly throughout the 1935-1938 seasons and occasionally in the first half of 1938-39. As an established first class player he played for the first team almost immediately on arrival. He comments on the warmth and friendliness of the players and committee and the fact that he was quickly accepted, even though his duties at Dean Close meant that he could rarely train with the team. Together with the Reverend Kit Tanner on the wing and the Reverend Mervyn Hughes at wing forward, Bill, playing at centre inside Kit Tanner, is remembered as one of the three clergymen who played for Gloucester in the late thirties. He was a regular in the great Gloucester side of 1937-38 under John A’Bear and played for Gloucestershire throughout the 1936-37 Championship-winning season. Bill Phillips served as an Army chaplain during the 1939-45 war. He was taken prisoner of war at Arnhem in September 1944 and released in April 1945. After retirement from the church, Bill returned to Gloucestershire and lived for many years in Upton St Leonards. 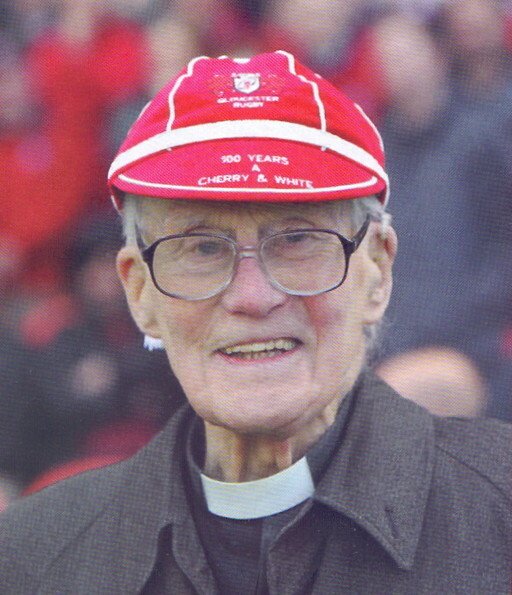 In 2012, a few months before his 100th birthday, he was presented with a cap bearing the words “100 Years a Cherry and White” at half time during a home game at Kingsholm. He died peacefully on September 8, 2016 in a Bristol Nursing Home at the age of 104. Truly the Grand Old Man of Gloucester Rugby. David Twiston-Davies wrote Bill’s obituary – see below.